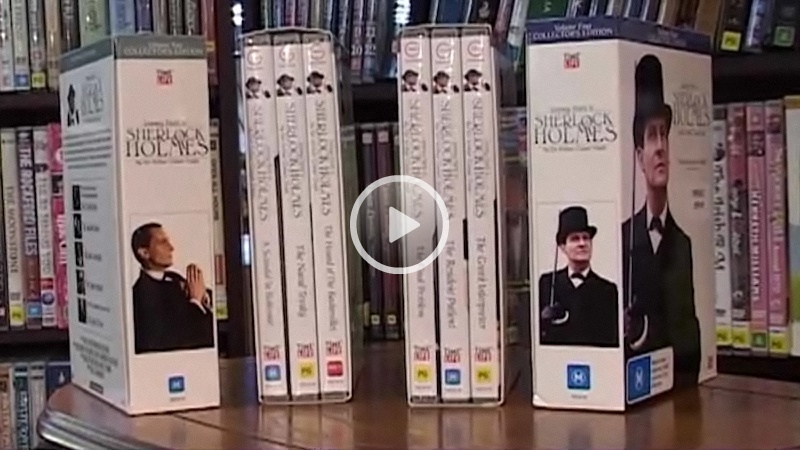 Australia’s only TV Shopping Network and broadcasts 24 hours a day. 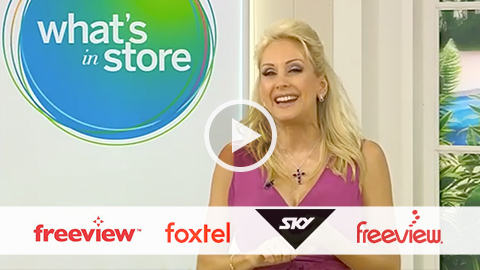 TVSN is always open, so you can shop whenever you want 24 hours a day, 7 days a week. A specialist general merchandise direct response company promoting over one thousand product lines to over 2,000,000 customers each year. 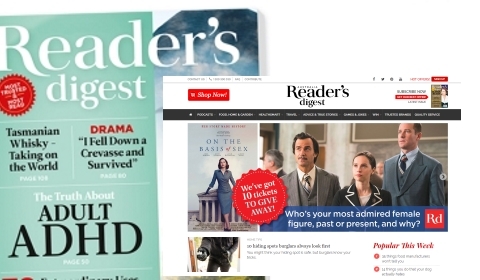 With over 90 years of publications, Reader's Digest is one of the most recognisable brands in the world. 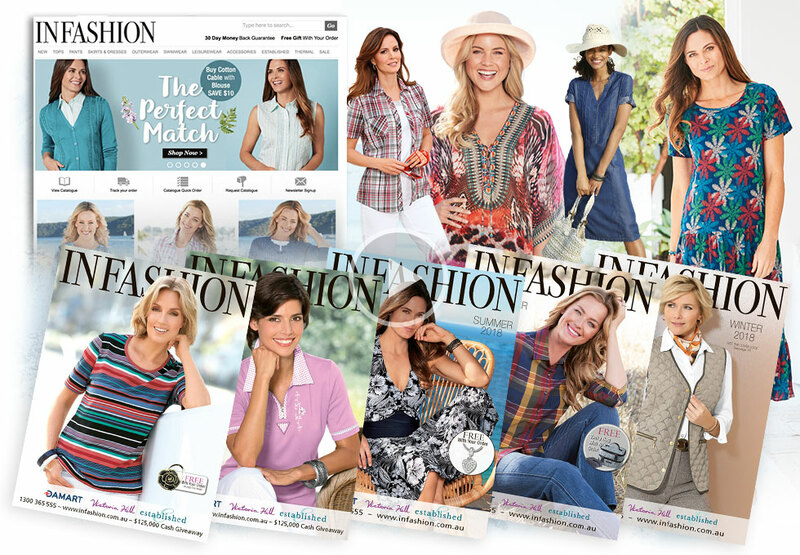 INFASHION was created in 2015 as a one stop shop of Fashion, Thermal and accessories under one catalogue offering. 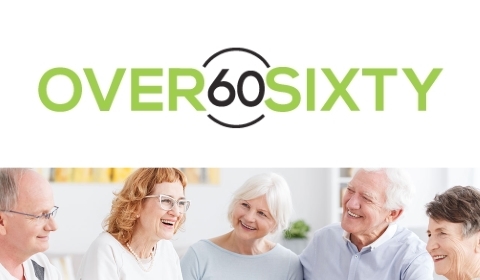 The one-stop destination to keep Aussies over sixties in the know. From travel and lifestyle to money and finance, with everything in between.. Established in 2017, Mydiscoveries provides great value holidays for the over 50's market. 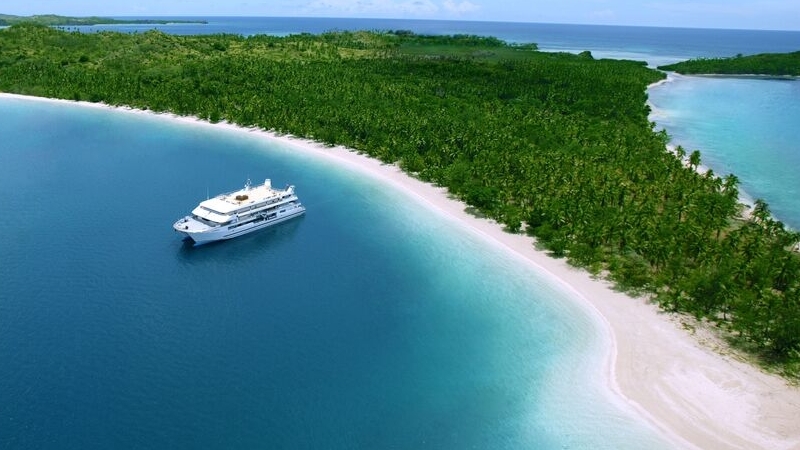 Holidays are hand picked for their inclusions, value and suitability for the mature market. 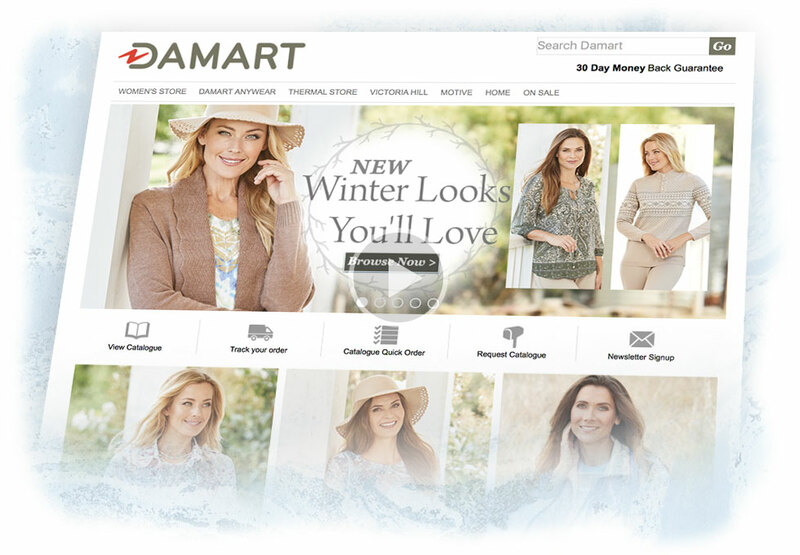 Offering the complete wardrobe solution for the mature woman and Thermalwear for all, with core strengths in merchandise specialty, purchasing choice and convenience. Australia’s premier needlework and craft catalogue. 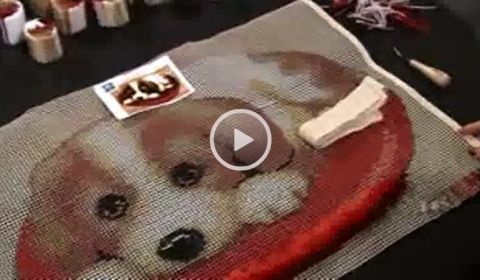 Thousands of needleworkers and crafters enjoy an exciting and constantly changing range of designs. Every woman deserves to feel fabulous! 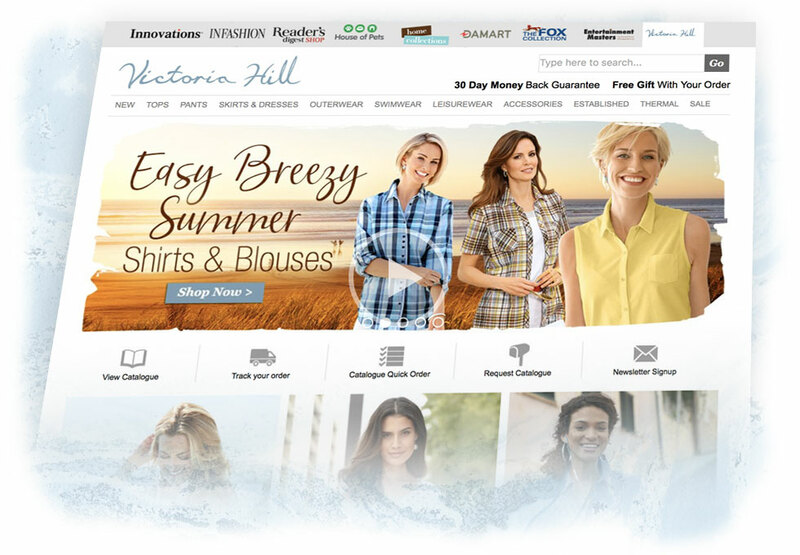 Victoria Hill has made it their business to know real women are looking for in quality basics, season after season. Encompassing an incredibly diverse range of entertainment, presented in catalogues and online there is no need to search through noisy music stores. 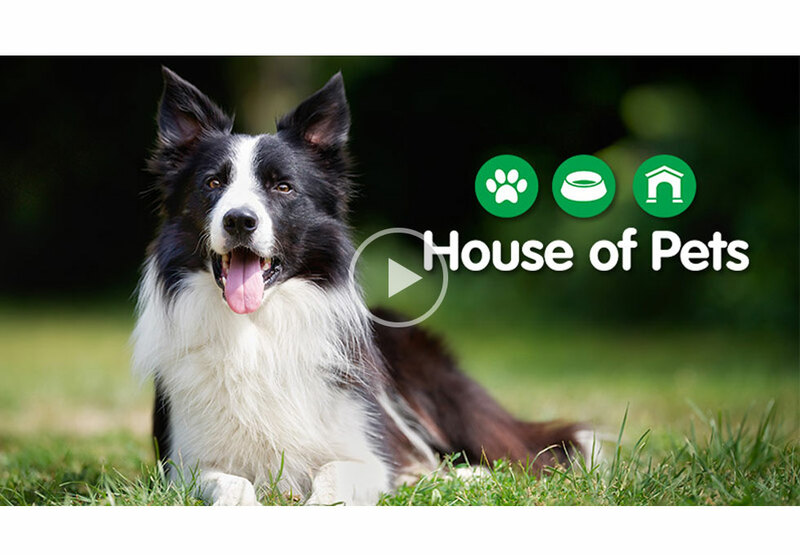 House of Pets is an online pet store with pet food, pharmaceuticals and accessories. Home Collections is an online store selling quilts, towels and sheet sets at great everyday prices. A 24 hour, 7 day a week information channel consisting of direct response programming along with local productions. Promotes a strong connection towards inner health, beauty and harmony; and concern for the protection and conservation of resources. WYZA - a little older, a lot wyza. Bringing you the best in travel, entertainment, lifestyle, finance and property. 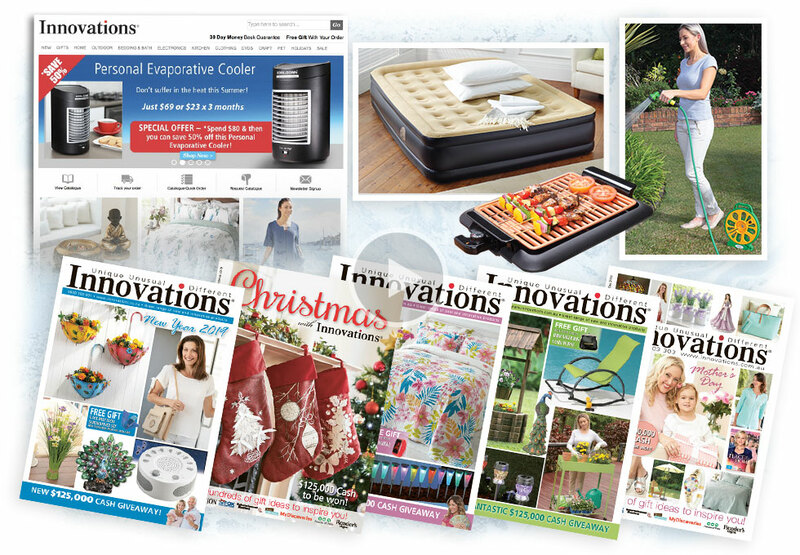 Since its launch in 1985 as a specialist direct marketer, Direct Group has developed into a comprehensive multi-channel retailer offering a wide variety of products to millions of loyal customers. 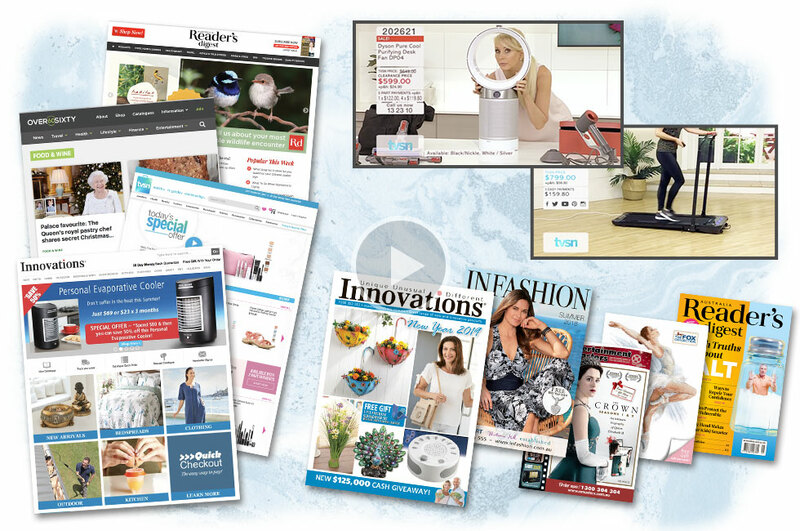 The group operates in Australia and New Zealand and communicates directly with its customers through its 42 websites as well as emails, catalogues, television and digital publishing. The group’s head office and supporting infrastructure of warehouses, TV and design studios, contact centre and computer facilities are located on 5.3 hectares in the northern suburbs of Sydney, Australia. The corporate structure constitutes a holding company, Direct Group Investments Pty Limited, comprising three operating divisions and 15 wholly owned or majority controlled subsidiaries.